New York, 1857. 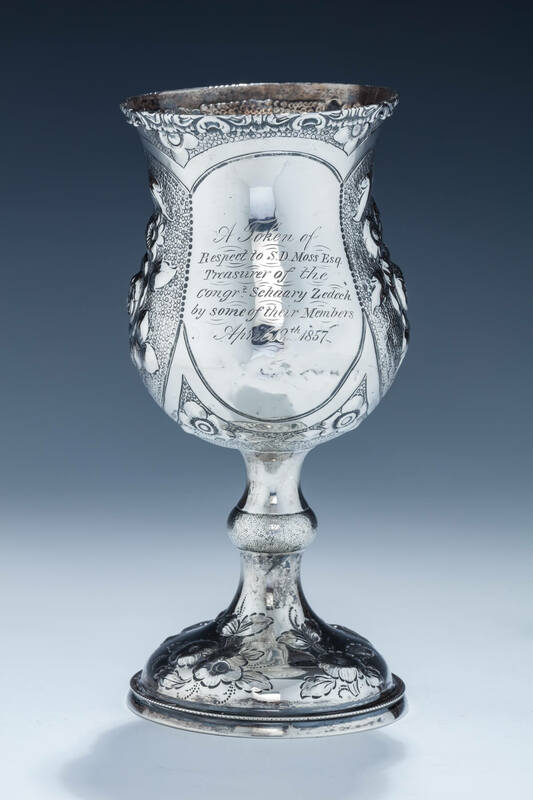 On floral round base with decorated knobbed stem that connects to upper portion engraved in english: “a token of respect to s.d. Moss, esq treasurer of the congr. 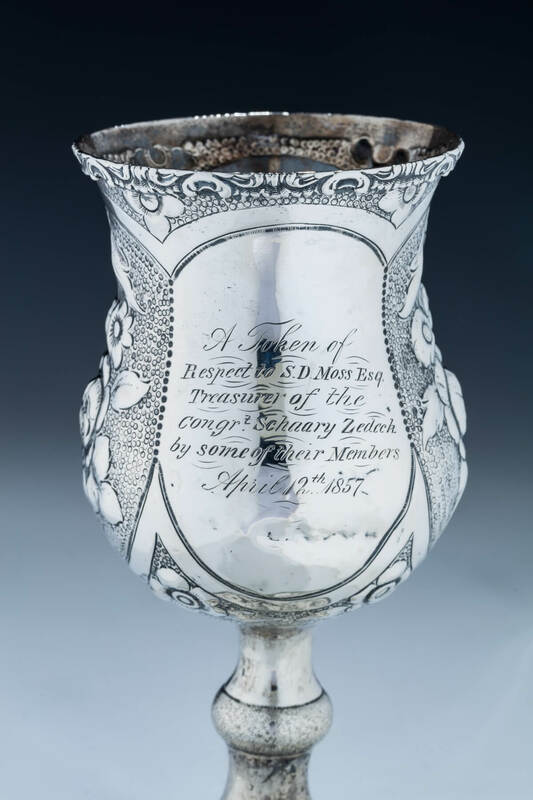 Schaary zedeck by some of their members april 12, 1857. 7.7” tall.